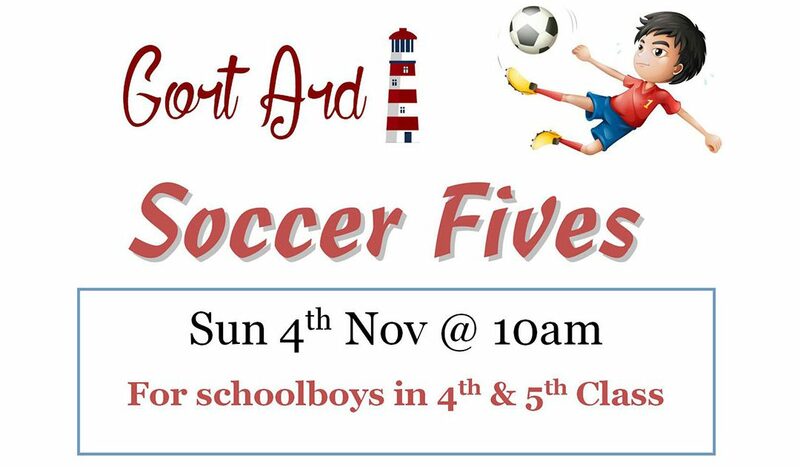 Halloween Five-a-Side Soccer for 4th & 5th Class pupils. Teams will be divided into groups according to age. 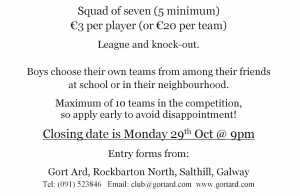 Extended closing date for submitting Teams is Thursday 1 Nov 2018 at 9pm. Print the Team Registration Form here.